Luscious locks and locker rooms don’t go together. But no worries, sweets – that’s what we’re here for. It’s like having your cake and eating it too. Goodbye locker room, hello cupcake hair. What a fantastic product! 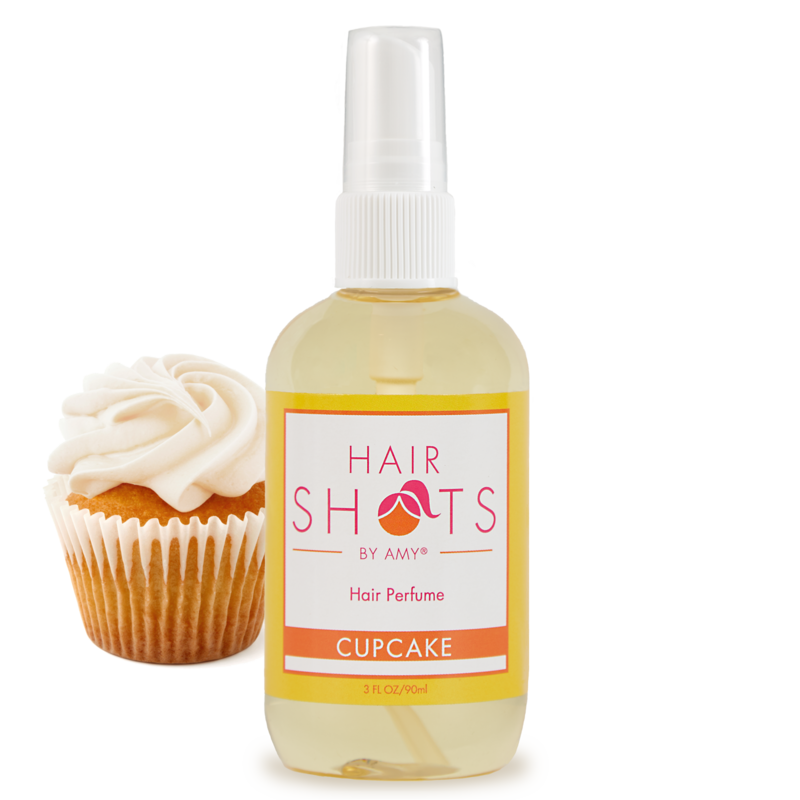 I live in Texas and gets HOT here, Cupcake is a refreshing vanilla smell! When I come in from a workout or from the day at the lake, it is nice to have my hair smell sweet and not sweaty! cupcake is my personal favorite! It’s sweet and light, never too strong. All I can say is its fabulous! 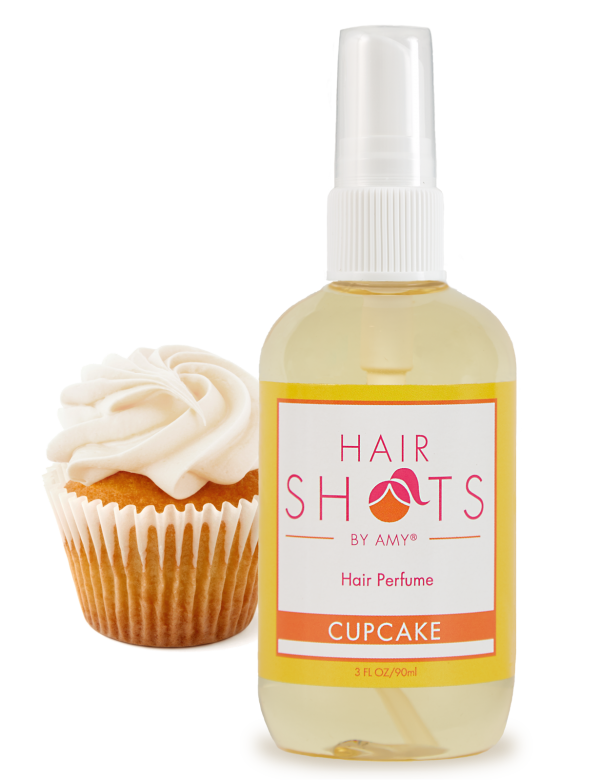 Cupcake was the first HairShots product I ever had. I remember getting it one summer and returning to Arizona and using it during my P.E. class and all the girls wanted some. Can’t wait to share these with even more of my friends! I would HIGHLY recommend this product to everybody WITHOUT A DOUBT!!! Can’t stop loving it or using it, and I constantly get told I smell amazing!! I’m 17 years old, and I can’t say I’ve ever been more satisfied with a product!!! 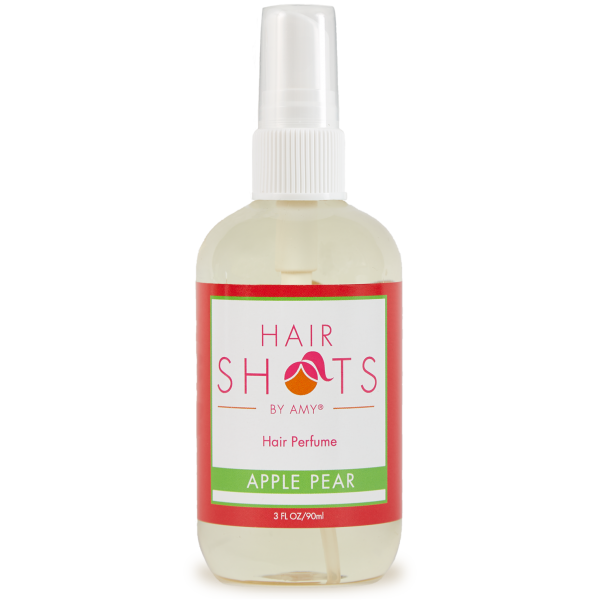 This product and scent is amazing! It’s true, the scent lasts forever. We were on vacation this summer in Texas, visiting a friend and she sent us home with this bottle of yummy cupcake! I can’t imagine smelling my daughter now without it. 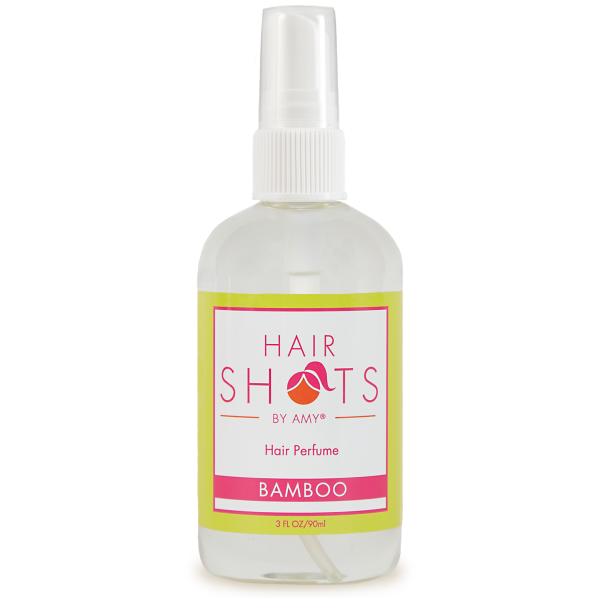 I spray just one spray in my own hair and it lasts and lasts! I will always have this in our stash! Can’t wait to try the other scents! My friend had this in volleyball and she always smells sooooo good and one day she let me use it and I smelled like that ALL DAY. I definitely recommend this especially for athletes after your sport. Best thing ever. 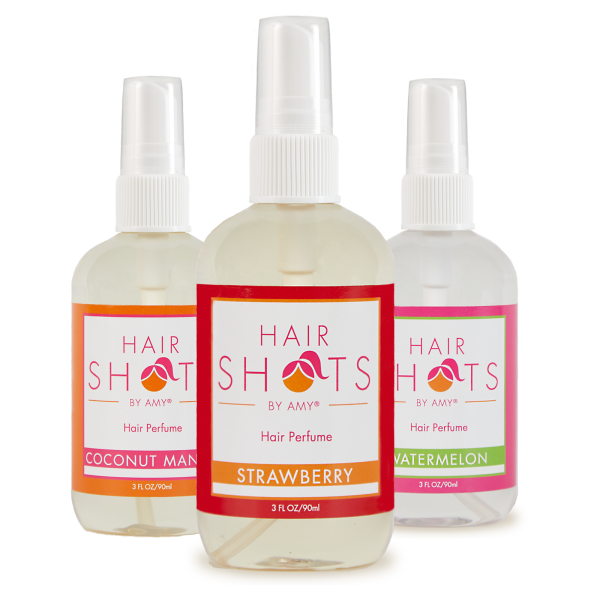 When my girls use this Hair Shots, it makes my whole house smell like I have something yummy baking in the oven! It’s delicious! I am absolutely addicted to this!!! I just ordered at the first of the month and I am already reordering!!! !